Are you ready for the Rugby World Cup 2015? If not, you should be! Not only is it being held on English soil, but it’s a great way to boost morale in the work environment! If you are planned, or are looking to see what you can do, here are a few ideas to even boost your company’s morale. 1. Hold a sweepstake*. Sweepstakes are great as it involves everyone in the office, even those that aren’t into sport. This is great for bonding within the company and through this, you can either raise money for the winners chosen charity or have a pot for the winner! 2. Turn the TV on. This or with technology now a days, a computer/laptop, have the rugby on either in the background, or if that’s too distracting, in a break-room. This will boost both morale and work ethic in the office. You can set goals for people to watch a game or just reward them for the work they have put in this year. A rugby lasts around 90 minutes. For the amount of work you will get out of your employees, it will be worth it. 3. Have an early finish. This one will definitely boost your company’s morale, but realisation is that not many businesses, especially small ones, will not be able to do this often, but even the off early finish will motivate your staff and create a great positive atmosphere in the office. 4. Be flexible. Having the option for flexible working hours will give people the chance to watch the rugby match they want, as well as being able to work the hours they have to. If you also operate near where a rugby match is taken place, this takes away having your employees wrestling with rush hour traffic and rugby fans, which I cannot imagine is a great start to their day. All in all, having the Rugby World Cup in England is great! We should embrace it and use it to it’s strengths! If your employees know what is expected from them during the World Cup, then you won’t have any issues, hence making sure you have planned ahead. Get everyone involved and work relationships will grow and the positive atmosphere in the office will increase the work ethic and all in all, will grow your company! *You can download our FREE sweepstake kit here. Rugby World Cup 2015 Sweepstake Kit. 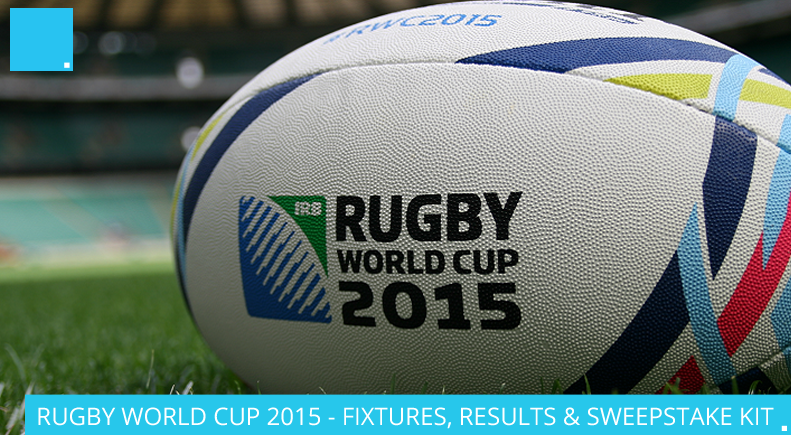 The Rugby World Cup kicks off at 8pm on Friday, 22nd September at Twickenham, when England take on Fiji.